Florida is one of the states that can easily put together a paradisaical beach full of people with a human warmth that can not be found anywhere else and at the same time an architectural power turning it into a place where the natural and the artificial take each other’s hands to create a postcard that you can not imagine. Located at 4441 Collins Avenue Miami Beach; It represents an iconic site of Florida’s nightlife. He has appeared in iconic films since his inauguration in 1954, forming a regular part of the country’s architecture lists. 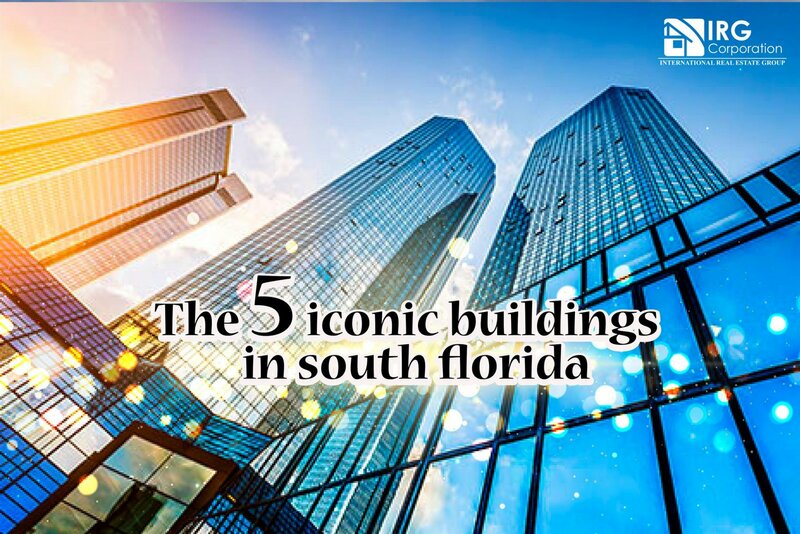 Located at 1111 Lincoln Rd in Miami Beach; It has become one of the most iconic sites in this area rising through 7 floors of parking, offices and sites for retail sales. It was sold for $ 283 million. Located at 515 N. Flagler Drive in West Palm Beach; 21 floors that rise through its peculiar black color has become since 1987 in one of the most representative buildings of the place thanks to the reflection that the famous villain of the Star Wars saga could easily live there. Located at 100 SE 2nd St of Miami; This 625-foot skyscraper is especially striking because of the ability to change its colors depending on the time the city is in. Built in 1987 has been present in many architectural presentations for its beautiful design. Located at 600 Biscayne Blvd in Miami; How to forget such an important symbol that represents in history a place where Cuban refugees from the 60’s and 70’s were welcomed. Inspired by the bell tower of Giralda Cathedral in Seville, Spain serves as a connection between modernity and history in a representative point of the city. Apparently this duality between the tall figures and the extensive nature added to the quality of the people makes Florida one of the most important places in the world where living or vacationing becomes an experience full of unforgettable events and postcards. The future of real estate in South Florida.